For the most part, we have envisioned reality based upon the themes that Sir Isaac Newton postulated back in the seventeenth century. Newton constructed a machine-like model of the world, which is comprised of separate and distinct objects, disconnected from one other, interacting only through cause and effect. This picture of reality, operating as a giant machine, shackles our lives like little else. The depiction is absent any scintilla of meaning or purpose, as we become the cogs in the machine, detached from one other and the universe at large. This image is also devoid of any sense of relatedness, as separation becomes the essence of the Newtonian worldview. This paradigm leaves us humans as strangers in a mechanical universe, whereby isolation is the primary motif. Epidemics of depression are the inevitable result of this scenario. From this filter we experience a vast array of struggle and malaise. Many of our ensuing challenges and conflicts can be derived from this misunderstanding of reality. Yet there is now ample evidence to drastically reconsider how we look at the bigger picture. In the early twentieth century, Albert Einstein and the celebrated Danish physicist Niels Bohr engaged in a debate that extended for many decades. Einstein had proposed a thought experiment – known as the EPR paradox – which became a hotly contested theoretical battleground between the two intellectual titans. The thought experiment was concerned with the behavior of a pair of photons, which are simply light particles. 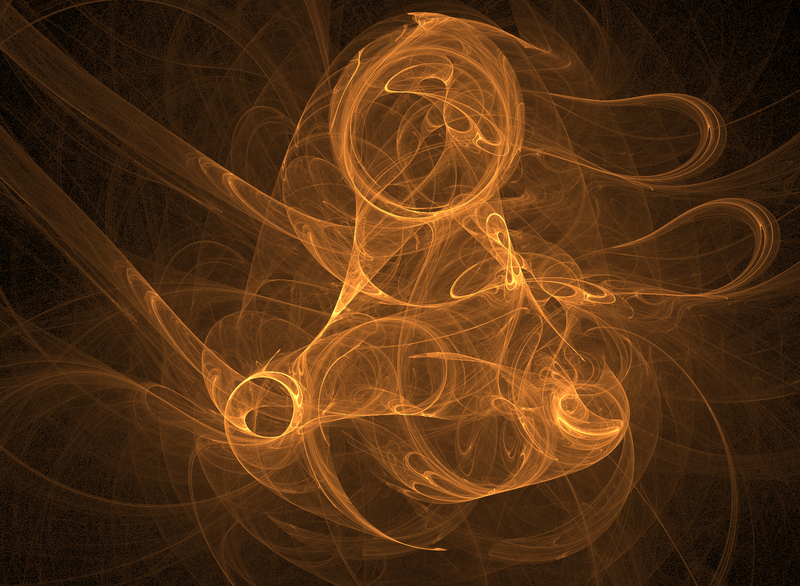 When the two particles are created at the same point and instant in space, they become entangled as a pair. Paired photons have opposing spins or rotations. If particle A, for example, spins in a clockwise rotation, particle B’s spin must be counterclockwise. What would happen if a great distance separated the particles – imagine half a universe – and the spin of particle A was altered to counterclockwise? Both men agreed that particle B would necessarily change its spin accordingly. But how long would that take to occur? Einstein suggested that the time required for one photon to communicate with the other could be calculated in a deterministic way, based upon the distance of separation and the laws determining the speed of light. Bohr, on the other hand, boldly predicted that there would be no signal necessary from one photon to the other and, hence, no time would elapse before the spins respectively reversed. Astoundingly, he claimed that since both photons existed in an entangled state – regardless of how distant they were from each other – they were still essentially inseparable. In scientific parlance, this is known as non-locality. Bohr’s claim flew in the face of classical Newtonian physics, which mandates that time must elapse for distant objects to communicate. Bohr was proposing that in certain circumstances, an entanglement exists in which separation is merely an illusion. Reality, in this case, was inseparable. The debate raged on for on decades. In the early 1960’s, Irish physicist John Bell developed what became known as Bell’s theorem, a formula that was designed to test the argument. Nearly twenty years later the technology was finally devised to test Bell’s theorem. Einstein lost! No signal was required to travel between the photons. Communication was instantaneous. Notwithstanding a great distance between them, the photons were entangled as though they were one, just as Bohr had postulated. This experiment has been retested countless times, always with the same result. As counterintuitive as it may seem, under certain conditions the universe appears as an undivided, inseparable whole. Shockingly, increasing evidence has arisen indicating that this phenomenon occurs in the larger macro realm – most likely affecting humans. The June 2011 cover article in Scientific American, entitled “Living in a Quantum World,” proposed that larger biological entities were amenable to entanglement, which had been witnessed in living organisms. Entanglement may even occur on a cellular level. The division between the quantum world and the macro world appears to be an artificial distinction. The phenomena of distance healing, remote viewing and telepathy all point toward human entanglement. On a more ethereal level, one might argue that falling in love evokes entanglement. At this point you might wonder what this means to us. Quite a lot! It necessitates that the way we envision reality requires radical reconsideration, but just as importantly, it suggests that we need to drastically overhaul the way we think and how we envision ourselves. Such a mind-altering reality defies our commonsense approach to cause and effect, which of course mandates separation and causality. Our prevailing, yet outdated, beliefs confine us to a paradigm that induces isolation with the ensuing loss of meaning. This results in depression, violence, greed, inhumaneness, existential despair and ecological disaster, to name just a few. But we’ll get to that in just a bit. Let’s consider the case of a pair of human twins as opposed to our photon pairing. She lives in New York City and he lives in Paris. One day, as she is getting out of bed, she walks toward the shower, slips and turns her ankle, breaking it in the process. Precisely at that moment, her twin brother in Paris feels an excruciating pain in exactly the same location on his leg. There is no signal sent from one to the other. They are each – at least momentarily – part of the same system, so to speak. They are as entangled as the photons. We tend to regard this as inexplicable, just one of those odd things. We’ve all heard of these occurrences, yet we marginalize them and other examples of wholeness as simply being “weird.” (How often have you heard someone incredulously declare in these situations, “That’s so weird!”?) When we do that, we do ourselves a great disservice, as we disconnect from the transcendent experience. When something occurs that doesn’t fit into our operating belief system, we must reexamine our beliefs, not discard the experience. When we embrace the dissonance and confusion, we break new ground as old paradigms fall away and new worldviews emerge. Such occurrences aren’t that strange. They seem to appear rarely – rather than routinely – because we don’t recognize them, due to the way our thinking tricks us into seeing separation where none really exists. This is why telepathic moments appear to occur as anomalous rather than more ordinarily. What we look for is what we see. The filter through which our mindscape sees is grossly impacted by our expectation of separation. We are trained to see separation, not connectivity. We see parts and fragments, not the whole. Our thoughts, rooted in Newton’s world of separation, tend to divide things into parts, rupturing the inexorable flow of the universe. Thought literally dissects and splits asunder the natural order of wholeness and movement. When this happens, we miss the big picture. That big picture – the emerging worldview – is unbroken wholeness. I caught a glimpse of this phenomenon of fragmentation while viewing CNN during the millennium celebration. For twenty-four hours, every country on the planet celebrated the dawn of a new millennium. As I watched, it occurred to me that for this span of one day, there were literally no divisions between countries, only one planet, turning in its rotation toward the birth of a new millennium. Furthermore, I considered that countries aren’t intrinsically real. We did, after all, make them up. When we view Earth from space, we don’t see a geopolitical map but, rather, something closer to the more natural topographical layout that we all inhabit. Our current political system of nations is simply a product of thought – thought rooted in separation. To further the analogy, imagine yourself as a molecule of water in the ocean. You see your neighboring molecule as separate and distinct from you. The molecules, from their lack of perspective (we are granting them the capacity for consciousness here) miss the larger picture: they are all part of the same wave. They are distinct, yet interpenetrating – an indivisible part of the whole. The same applies to us. We are unique, yet seamless. Each molecule is individual but still an integral part of the wave, just as each individual grain of sand at the beach is enmeshed with other grains. We are all distinct, but we are all part of a flowing whole. This emerging paradigm refers to a participatory universe. Everything informs everything else, which of course includes humans. As such, we fully participate in all that unfolds. Hence, life becomes profoundly meaningful and purposeful. When we begin to see that way, we come to understand that doing harm to another is to do harm to yourself. To do violence to another would be as ludicrous as your left arm attacking your right arm due to a perceived difference and lack of appreciation that they are, in fact, part of the same body. We are all inextricably linked. To assist another, is to enhance your own wellbeing. In the emergent worldview, the distinction between other and self melts away. What unfolds from this perspective is a de-emphasizing of individualistic competition and an ensuing shift toward cooperation. The cooperative spirit ultimately replaces the competitive spirit as we come to see that all things interpenetrate. When we all work together as a whole, the productivity and congruence of our efforts are no longer fragmented, and the results can transcend linear expectations. Just imagine humans living and working with the same efficiency as an ant colony, which operates as an indivisible whole. Swarm theory proposes that while the intelligence of an individual ant isn’t noteworthy, the collective intelligence of the swarm is remarkable. The collective engages complexity far beyond the ability of the individual. As a group, the ant colony is super efficient. In fact, humans are adapting the intricacies of swarm theory to solve very complex challenges. Imagine what embracing this cooperative spirit could do for the human race if we engaged the complexity of our challenges – poverty, climate change, disease, warfare, resource scarcity – with an equivalent complexity of intelligence. That said, excess of competition drives the individual at the cost of the collective. It is ego-driven and out of control. When all things come out of equilibrium, they lose balance and harmony. The world order today, with exception of fast-fading indigenous cultures, lies precariously at the edge of runaway competition (see the effects of globalization’s “race to the bottom.”) And with that, we are at the peril of its madness. It is wrecking our lives. The ever-widening income gap, the ruinous greed that sets up cataclysmic economic ruin, and the resulting despair and poverty of billions are due to the intense, individualistic, and competitive “every-man-for-himself” attitude, borne out of an antiquated and ruinous seventeenth century paradigm. On more personal levels, competitive excess is engendering an epidemic of loneliness and depression. The drive to succeed has simply overwhelmed the vital experience of relationship and community. The further implications from the emerging worldview are unimaginably profound. War no longer makes sense, and depression and loneliness retreat as we come to value relationship as the cornerstone of our happiness. There is no greater and more fundamental shift that one could imagine than simply opening to the radical reality of inseparability. Consider for a moment just how addictive our consumption is and how insane our polluting and poisoning of our planet, bodies and minds has become. We tragically continue to war upon and murder our kindred fellows. Our daily harm to one another and the planet in which we reside necessitates that we look at how our operating worldview informs our thinking. The emerging worldview of a seamless, interpenetrating, and participatory universe may very well heal this. If we are able to align our worldview with the emerging sciences, which paint an entirely new fresco of the universe, the benefits will be innumerable. That said, the radical reality that science depicts is, indeed, remarkably spiritual. A participatory and inseparable universe provides not only meaning and purpose, but it also speaks to our integral role in the universe. In this regard, there is no longer a chasm between science and spirituality; they, too, are as one. In a connective reality, there is no sensible choice left but to connect. Thank you for this article! I do believe we are a whole system, full and complete. Though we are individual parts, we are one and what we do to one part, we do to all (and ultimately ourselves). We can choose to work in unity or not – and face the consequences, whatever they may be. But I wonder, if we choose to work against the system and ultimately destroy ourselves, will the system still survive? Will it correct itself and continue on? The system in that regard would alter, as it has been doing. The system to which we are referring is an open system in which all things interpenetrate. What it would lok like ultimately is of course, unknowable. SAVE THE WAVE baby! There is only the one! Or as Carl Jung said, Unus Mundus — One world. Nice piece. I agree with what you presented. Yet your presentation missed one key piece. Abraham Maslow pointed to it, as did Martin Buber and others. Each of us has the capacity to awaken at any time and place to added dimensionality. Maslow called it the switch from Deficiency-cognition to Being-cognition; Buber termed it moving from I-it to I-Thou relation. With this added dimensionality, we are whole, we are creative, we have genius capabilities. Then we act. Only out of self-interest will people shift their behaviors. That self-interest will be to see others grow into better human beings (what Maslow called Good Persons) and not want to be left behind. Collaboration and cooperation the follow of their own accord. I have been trying to share this with some friends recently… Your explanation is clearly superior to my attempt, and now I can just ‘point’ to your presentation here. I miss the excitement of those discussions. We ought to work independently and cooperatively in order to achieve a predetermined purposes. We all need each other to make it in life. Thanks for the article. I most definitely agree with this as I do with most of what the Dalai Lama teaches. This definitely applies to personal relationships…..as always there is a “however”……or a “but….”….how does it apply to other relationships? Human nature is the most complex science and behavior on earth. Being as complex as it is , we can never tell what is reaction or what is instinct. I am a very compassionate person by nature, in the daily living of life….. “however”, I have been faced with certain predicaments that have me “pissed off”…..not on a personal level, but another level where I see manipulative behavior happening and not quite sure how to address it. Perhaps this is altogether a different subject…..”however”….I am dazed and confused on how to handle……. Well articulated, you seem quite enlightened in your analysis. a guy called Rupert Sheldrake. Very interesting related theory. Thanks for the recommended reading, I’ll take a look at Locke. Rupert Sheldrake and I spent a good deal of time some years ago looking at the overlap of our thinking and we both addressed an audience at Yale together on the subject. Very insightful thinker. This is a beautifully written article. Thank you for all your writings on these enlightening concepts. I always need the refresher! Great article. Thank you for the read. HI Mel, Thanks for this great post! Thanks to others who have responded as well. Barry K I appreciate you bringing in those 2 points of view. And His Holiness also concurs. Wise people have always known this to be true. It seems the only place to find this wisdom is among the spiritual seekers. What if this ‘attitude” approach to sharing the planet, was made available on a larger scale. Perhaps it is up to Emergent Thinking by the scientific community to make this more understandable to those who are living more ordinary lives and loves, etc. Is there away that not only the learned or intellectually oriented can absorb this info? How long did it take Newtonian theory to “catch on”? Ruth, I’d offer that we should be teaching this in our schools. Instead of out of date science, we should be pressuring our educators to teach the shifting paradigm. Most textbooks still teach newton’s definition of gravity rather than Einstein’s which is nearing 100 years old! Marja, I think love certainly makes the entanglement more acute, after all it is said, “two hearts beat as one.” Feel free to share the quote of course. Thanks Mel for summarizing everything I have been reading as of late in trying to make sense of this human life and our purpose. There is a merging of science and spirituality that was inevitable if only to answer the great questions we all have about this subject. I believe that with this piece you have made it practical for many of us by encapsulating quantum theory and humanity in a simple narrative. Thank you as well for your to the point summary of the article..Yes the new sciences appear to be confirming Eastern spiritual and mystical thought. For once, we seem not to be dealing with oppositional beliefs but the coalescence of what had previously been separate. An exciting breakthrough. Fascinating. Everything is round. From seed to cycle. Just look at our physical bodies (limbs, fingers, eyes, ears, nose, throat, birth canal. Look at the physical world i.e. the tree trunk, branches, stems, the rain drops that sustains it. The raindrops that ripple circles into a body of water. The atom…. This all makes perfect sense Mel. I recently randomly met a mystical person who explained our walk on the earth is as round as the earth. We most certainly are eternally connected! So exciting. Is Our Society Manufacturing Depressed People? Would You Like to Be the Partner I Want You to Be?